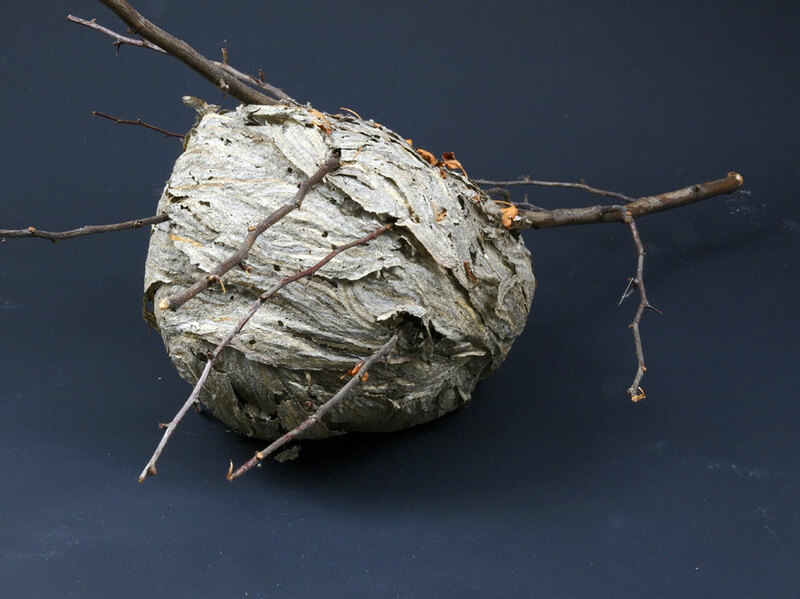 Social wasps make the outside of their nests by chewing wood and shaping it into shell-like plates as in this example. They live in colonies developing their young in combs similar to social bees and feeding on other insects. The colonies disintegrate in the autumn with only the mated females surviving through the winter. The rest of the wasps can be troublesome as they fly around looking for sweet foods until their inevitable demise.